Sign up for Uber using promo code uberMoneyCrashers to get $5 off your first ride. With a presence in more than 630 cities around the world, Uber is the world’s most popular ridesharing app. Like the Lyft app, it lets riders hail drivers electronically and compensate them for their services by credit card. The Uber app offers access to several different levels of service, from a cut-rate option (UberX) that competes with Lyft and other ridesharing apps, to a luxury service (Uber Lux) that competes with limousine firms. To become an Uber rider, you have to download the app, provide some basic personal information, and enter a payment method to be stored on file. Since you pay for each ride, not each passenger, you can reduce the per-person cost of your fare by riding with multiple passengers. In the U.S., Uber users must be at least 18 years old. Age restrictions may vary in other jurisdictions. As an UberX user, I find the app to be convenient and cheaper than a taxi for most trips. These factors make UberX particularly useful for budget-conscious riders, including students, who would think twice about using a taxi on a regular basis. The company’s higher-end services appeal to better-funded riders and frugal people seeking an inexpensive splurge. This is Uber’s lowest cost option. Typical vehicles are compact or midsize sedans and hatchbacks. UberX prices vary by city, but Uber claims that it’s cheaper than a taxi in every market served. In my personal experience, this is accurate when regular pricing is in effect. When demand pricing (surge pricing) is in effect, all bets are off – more on that later. UberXL costs about 50% more than UberX, though pricing varies widely by jurisdiction. Vehicles are more spacious, mostly crossover SUVs and minivans, so they’re better for larger groups of people or smaller groups carrying lots of luggage. UberSELECT is a “low-cost ride with an added touch of luxury,” according to Uber. Vehicles are “stylish,” with room for four passengers, and drivers are highly rated. Pricing occupies a middle range between UberX and UberSUV. This was actually Uber’s first service. It’s similar to a livery service and costs roughly double what UberX costs – though, again, rates are subject to local and demand-based variation. Typical vehicles include luxury sedans like Lincoln Town Car and Chrysler 300. This service is about 25% to 50% more expensive than UberBLACK. It includes room for up to eight passengers. Typical vehicles include full-size or luxury SUVs and crossovers. UberLUX emulates a limousine service. It can cost as much as 50% more than Uber SUV, though pricing and availability are difficult to predict. It doesn’t use stretch-style limousines, but vehicles do include full-size, foreign luxury models such as the Mercedes S-Class and BMW 7-Series (which typically retail for upwards of $70,000). UberPOOL is a literal ridesharing service – an on-demand carpool for up to four passengers. Prices generally range from 50% to 100% what UberX charges, depending on route and demand. UberPOOL is only available in bigger cities, such as Seattle and Miami, but it’s more common than ultra low-cost Express Pool. Fair warning: During periods of high demand, you’ll likely share your UberPOOL with fellow riders. In select cities, Uber partners with local taxi companies to extend its reach and range – and stay in local taxi commissioners’ good graces. Coverage and pricing is highly variable, so check your app when you land in an unfamiliar place. This is the closest Uber comes to legitimate public transit. Designed for commuters, Uber Express Pool leaves from designated “smart spots” only, the bulk of which are found in central business districts and near transportation hubs like airports. Express Pool is even cheaper than UberPOOL, but it’s not yet widely available – Boston and San Francisco are the only U.S. markets. To request a pickup, open the Uber app, select your price point, and set your phone to allow GPS tracking. If LTE coverage is limited or intermittent, which often happens in buildings with thick walls, you may need to connect to a local WiFi network. Once your GPS tracking is enabled, the Uber app automatically finds you and pairs you with a nearby driver, showing his or her phone number and ETA to your location. You can also manually enter your location. You can use the app to request a ride for another person. If your rider is at your current location, use GPS to hail the ride and tell the driver that you won’t be coming along. If your rider is somewhere else, enter his or her location when you hail the ride, then call the driver and tell them that you won’t be riding. In both cases, Uber charges your stored payment method for the person’s ride. You can track your rider’s progress and ensure that they arrive safely at their destination in the app, as usual. The Uber app has a built-in calculator that estimates your fare based on your selected price point, distance to be traveled, and current traffic conditions. It’s best used before you begin your trip. Once your driver arrives at your location, get in the car and communicate your destination. You’re allowed to sit up front, especially when using UberX, but confirm with the driver before you do – some drivers aren’t fans of this. Uber’s pricing system includes a base fare, per-minute charge, and per-mile charge. “Booking” (security, really) fees are common, though not universal. Some jurisdictions impose local surcharges on every ride within their borders. There’s also a minimum fare and cancellation fee. All of these rates and potential charges vary by Uber price point and geographical location, even over relatively small distances: The rate you pay in Phoenix could be very different from the rate you pay in L.A.
Uber fares are subject to change over time. For most of Uber’s history, the cash-rich company has periodically slashed fares in an ongoing price war with Lyft and local taxi companies. Uber automatically and immediately passes the cost of tolls and airport entry fees on to riders (the app uses GPS to track drivers, so it can tell if they pass through a toll booth). If there’s any damage to the interior of the car, such as burns or vomit, it may also bill your card or account for a $200 cleaning fee upon discovery. For all UberX rides in the U.S., there’s a $1 Safe Ride surcharge that funds Uber’s driver screening process. Uber drivers don’t accept cash. When you download the app, you provide a credit card number that Uber saves on file. Shortly after signing up, you may notice a ghost charge of a few dollars – the exact amount may vary – on your account for a few days. This is part of the account authorization process. If you want, you can provide more than one card and choose which to use for each ride. You can also link your PayPal or Google Wallet account to Uber. When your ride is over, your card or online account is automatically charged. You can split the fare with one or more fellow riders, though you must select this option while the ride is in progress. There’s a $0.25 per-person split fare fee. Finally, you can add a gratuity to your payment if service warrants, though tipping isn’t expected. 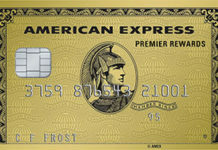 If your credit or charge card participates in American Express’s U.S. Membership Rewards program, you can earn double points on every Uber purchase, or use your accumulated points to pay for Uber rides. When you use the app to request your ride, specify whether you’d like to earn or redeem points for it. Specific American Express cards may have even juicier Uber-related welcome offers. The Platinum Card from American Express comes with $15 in Uber credits each month, plus a $20 bonus in December. After the ride, you have the option to rate your driver on a scale of 1 to 5. Drivers can do the same for riders. If you rate a driver at a 3 or lower, you’re never paired with him or her again, even if they’re near your location when you request a future ride. Uber doesn’t say how ratings directly affect riders. But drivers aren’t required to accept every ride request, so they can use their discretion and ignore requests from nearby riders with poor ratings. Uber automatically emails you an itemized receipt for every completed ride. During busy periods, such as weekend evenings and weekday rush hours, Uber may temporarily increase its fares to encourage more drivers to work. The rate of the increase depends on local demand and the number of drivers currently working, but it can exceed 100% of the base rate. Uber keeps some of this surcharge – it’s not clear how much – and passes the rest on to the driver. When Uber moves into a new city, it typically offers promo codes, vouchers, and ride credits – all downloadable – for a few weeks. It also offers referral credits when you refer new riders with a personalized link. The value of these promotions varies by time and location, so check your city-specific Uber site. Sign up for Uber using promo code uberMoneyCrashers to get $5 off your first ride. If you lose something in an Uber driver’s car, you can click a special link on your emailed receipt to notify Uber. If this link isn’t working, which can happen with certain email servers, your account has a special page that shows all the recent rides you took and provides contact information for each driver. It doesn’t notify the driver, though – so in both cases you need to contact your driver and arrange for them to meet or send you the item. If you can’t get in touch, Uber’s support team will communicate directly with the driver. Uber Visa Card is a premium cash back credit card that earns up to 4% back on dining purchases, 3% back on hotel and airfare purchases, 2% back on online purchases, and 1% cash back on all other purchases. Plus, new cardholders qualify for $100 bonus cash when they spend $500 or more within 3 months of sign-up. Uber Black, SUV, and Lux drivers are required to carry and pay for commercial auto insurance, with minimum liability coverage and uninsured motorist coverage of $1 million each, under their own name. For each UberX driver, Uber pays for a $1 million commercial liability policy that remains in effect from the moment the driver accepts a fare until the moment the ride ends. Uber pays for $1 million uninsured/underinsured motorist coverage for all UberX drivers. For UberX drivers, Uber pays for a contingent liability policy that pays for $25,000 in property damage and $100,000 in injury costs. This remains in effect as long as the driver is signed into the app, even if he or she isn’t accepting rides. All Uber drivers must have personal insurance coverage that meets their state’s minimum requirements. Drivers must submit to a criminal background check before being cleared to accept rides. Uber says that applicants with convictions for drug-related, sexual, or violent crimes, as well as any felony, aren’t allowed. Each driver must also pass a phone screen with a local Uber manager. Uber drivers must have a valid driver’s license and a clean driving record. Uber’s website doesn’t disclose the specific standards its drivers must meet. Drivers’ vehicles must be no older than 15 years. During the application process, each driver must provide photographic evidence that the car is in good condition. Uber doesn’t subject its drivers to drug tests, but it does take allegations of impropriety seriously. Drivers suspected of working while intoxicated, based on legitimate complaints from riders, are typically removed from the service. Uber for Business is “an all-in-one solution that simplifies how your organization gets around.” It’s built to help businesses of any size streamline and gatekeep their employees’ ridesharing activities, complete with customizable permissions and access levels. Features include granular ride reporting and expensing, all controlled from a central dashboard. UberEATS is a food delivery app that you can use to order from your favorite restaurants – assuming they participate, of course. It’s available in most major U.S. cities. Delivery surcharges vary, but are generally competitive with local and national delivery apps such as GrubHub. Uber drivers can work for UberEATS when they’re not transporting passengers. Uber Freight is an on-demand trucking app that connects available carriers with loads heading their way – literally “Uber for trucking.” It’s a great way for truckers to earn extra money, though rates aren’t necessarily competitive with other shippers. For smaller companies with varied shipping needs, Uber Freight is a potentially powerful business cost-cutting measure. Since it accepts mobile wallet services such as PayPal and Google Wallet, Uber doesn’t require you to provide a credit card before using its services. By the same token, Uber’s strictly cashless service is a nod to millennials and millennials at heart, who prefer not to carry cash. In some major cities, Uber’s Express Pool service offers flat-rate rides to busy “smart spots,” generally in business districts and near major gathering places such as airports. It’s nice to know well in advance – before you even hail your ride – exactly how much your trip will cost. The only catches: You have to be willing and able to walk a couple blocks to the nearest pickup spot, and you have to be willing to share your ride with others. Uber’s built-in fare estimator weighs all the factors that could affect your ride, including surge pricing, to give you a solid estimate of how much it’ll cost before it begins. Use this feature to determine whether you should delay your ride, switch to Lyft or a local ride-hailing app, or try another form of transportation altogether. Uber pays you two American Express Membership Rewards points for every dollar you spend on the app. You can use these points to pay for rides as well. Uber is currently available in more than 630 cities and regions worldwide, and new locations are coming online all the time. In the United States, coverage is increasingly comprehensive: not just major metropolises such as New York and smaller cities such as Fort Collins and Spokane, but suburban and semi-rural areas like California’s Inland Empire (east of Los Angeles) and Florida’s Central Atlantic Coast. Uber is more widely available around the world than principal U.S. competitor Lyft and country-specific apps like China’s Didi Chuxing (which acquired Uber’s Chinese subsidiary in 2016). Generally, Uber has better coverage than Lyft and some taxi companies in non-core areas of the cities it serves. Lyft has done well to shore up and fill in its coverage, but – based on anecdotal reports and my own personal experience in several U.S. cities throughout 2017 – it continues to lag Uber. Taxi coverage is worse than either big ridesharing app. Outside big-city business districts, where they still roam freely, taxi drivers these days mainly stick to dispatch service or hang out at major transportation hubs, chiefly airports and train stations. I personally use taxis only when ridesharing apps’ demand pricing gets out of control and I can negotiate a flat rate – usually to or from an airport. With a single app, Uber offers access to a slew of services for riders – and a few, like UberEATS, for stationary users too. It’s not yet a single-stop logistics app, but its backers clearly want to move it in that direction, and they’re backing their vision up with serious money. Uber’s app works the same at all price points – you don’t have to call ahead and make reservations for UberSUV, UberBLACK, or UberLUX service, as you would with a private livery car or limousine service. This makes it easy to ride in style on a whim. Of course, you can always use Uber’s ride-scheduling feature to schedule your pickup in advance. Though Uber and Lyft both take at least 20% from each base fare, Uber keeps a portion of its surge pricing charges and the entire booking surcharge. Lyft is more driver-friendly with demand pricing and surcharges, though it reserves the right to change its pricing structure at any time. Moreover, to compete with local taxis and other ridesharing services, Uber has been known to temporarily cut fares for UberX rides by up to 40%, without notifying drivers. These tactics have sapped driver morale. Uber has been the subject of controversy over potential safety risks for riders. For instance, a Daily Beast report outlined an unsettling situation between a journalist and an Uber driver who took unauthorized photos of her and continued to contact her, her associates, and her employer, even after being asked to stop and fired from Uber. Other safety issues include a driver in Washington, D.C. who, according to Washington City Paper, allegedly sexually assaulted a female passenger, and a driver in San Francisco who physically assaulted a male passenger, according to SFGate. Combined with the fact that Uber still isn’t subject to the same regulations as taxi companies in many jurisdictions, these issues raise the question of whether Uber is more concerned with finding enough drivers than protecting its passengers. By and large, Lyft hasn’t been the subject of such high-profile controversies. Uber’s ratings appear to have little direct effect on personnel decisions. To be kicked off the service, drivers must repeatedly receive ratings of 1 or 2 stars, but Uber doesn’t disclose how many bad ratings it takes or how often this occurs. By contrast, Lyft requires its drivers to maintain an average rating of 4.6 out of 5 stars. Also, Uber doesn’t publicly disclose what it looks for in a driving record check. By contrast, Lyft and most local taxi companies (or taxi commissions) clearly outline their standards. Uber has an aggressive, even reckless, reputation. It has repeatedly clashed with local taxi commissions, and former CEO Travis Kalanick has shown open disdain for the taxi industry as a whole. Kalanick can also alienate his own drivers – for instance, according to Re/code, he stated in an interview that Uber would like to have an entirely self-driving fleet within the next two decades. In 2016, the company began testing self-driving vehicles with human backups, though major performance issues and legal setbacks have hamstrung its efforts. By contrast, Lyft’s website proclaims, “We love our drivers,” and its driver-friendly policies – notably, more generous compensation and clarity around take-home pay – bear this out. Uber faces ongoing legal challenges around its business practices. According to The Boston Globe, a 2014 case filed in Massachusetts centered on whether Uber drivers are independent contractors, as the company claims, or traditional employees, as the labor-rights activists bringing the suit claim. A ruling in favor of the plaintiffs could dramatically increase Uber’s overhead costs and lead to changes or cutbacks in its service. Meanwhile, a 2014 California suit, reported on by SFGate, alleged that Uber improperly takes a cut of drivers’ tips, which is illegal under state law. Uber claimed that fares and surge pricing surcharges aren’t tips, and thus aren’t covered by the law. More recently, Uber has come under intense scrutiny for its remarkably brazen Greyball operation, which used a fake mockup of the app to dupe undercover investigators in jurisdictions where ridesharing apps were banned or restricted. The Los Angeles Times provides a fascinating blow-by-blow report. A similarly byzantine saga arose out of an acrimonious dispute between Uber and Google spinoff Waymo, an early entrant into the autonomous vehicle space. Now the subject of a headline-grabbing lawsuit, the dispute centers on a former Waymo engineer who allegedly used stolen proprietary materials from Waymo at his own startup, which was acquired by Uber just months after its founding. Though Uber has done much to address questions about driver-rider interactions and bring its customer-facing operations aboveboard, unfortunate incidents continue to grab headlines. And the furor around Uber’s business practices has intensified, if anything. Lyft isn’t blameless by any means, but it has (to date) managed to skate by with less scrutiny – deservedly so. Uber is a versatile app that offers an alternative to taxi companies and higher-end car services. Due to low prices and wait times, it’s particularly useful for budget-conscious riders and those who need to get places in a hurry. Moreover, its ambitious principals are rapidly expanding its reach, creating opportunities for riders and drivers in new cities every month. However, intensifying controversy over its business practices pose a challenge to Uber, and could significantly change how it operates over the long term. Feel free to download and try the app, but be sure to keep an eye on the latest news about the company. Have you ever used Uber or UberX? How did the experience compare to taking a taxi or limousine? Unparalleled geographical coverage, flexible payment options, and a range of services under the same corporate umbrella all position Uber as the ridesharing industry’s undisputed leader. However, the company has a darker side, lacking the driver-friendly, community-first vibe of other ridesharing providers. Over time, poor treatment of drivers could lead to safety and service issues. Coverage, flexibility, and various price points all work in favor, but Uber’s corporate citizenship is lacking. Off-peak pricing is unfriendly to riders too.